Pre-workoutFitMax NO Active - 120 kaps. 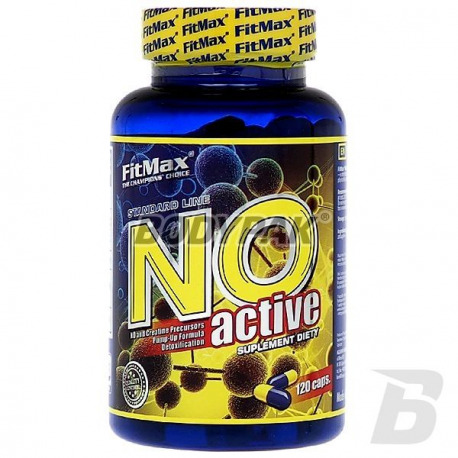 FitMax NO Active - 120 kaps. 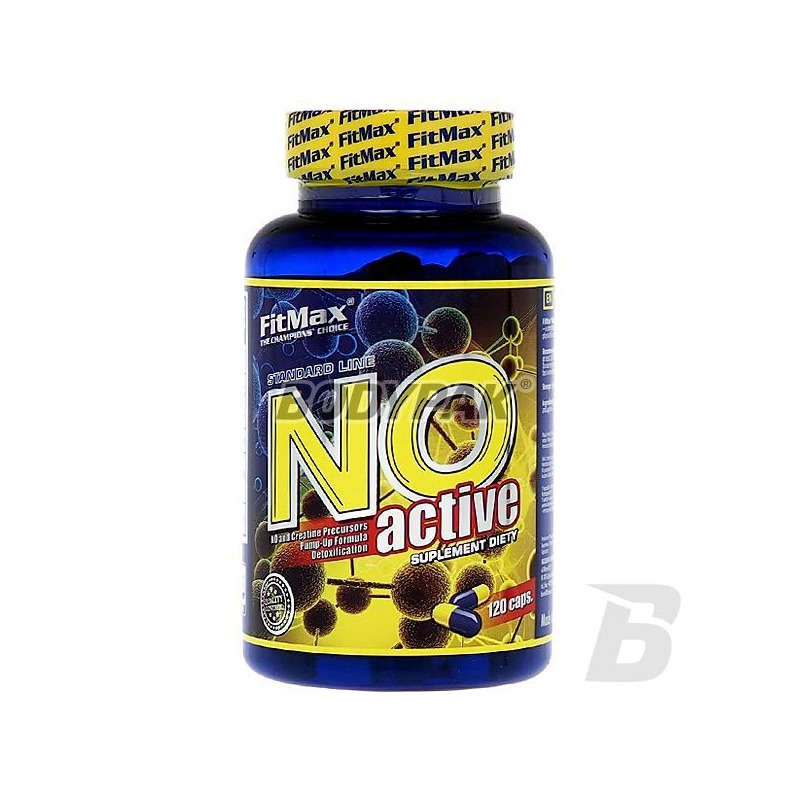 FitMax NO active this means in capsules, which includes: AAKG, Citrulline Malate and Vinitrox - a combination of extracts of grapes and apples. The main task of the product is the intensification of the synthesis of nitric oxide, while lengthening his actions, resulting in increased inflow of blood to the destination. As a result, it is possible to hold a more intensive training and more effective regeneration. The improvement is also sexual performance. In addition a database of amino acids involved in the synthesis of creatine and the removal from the body, in excess of toxic ammonia. Thus, NO is used in the active cycles and the pokreatynowych protein diets. Składniki: AAKG, jabłczan cytruliny, Vinitrox (ekstrakt z winogron - 55-65% oraz ekstrakt z jabłek 35-45%), stearynian magnezu - substancja przeciwzbrylająca, żelatyna - składnik otoczki.